Update sushi restaurant description. Add introduction & conclusion + good sushi restaurants in Vancouver. Added updates about Sushi Bar Maumi and slight commentaries. Wondering where the best sushi in Vancouver, BC is? We got you covered! (Speaking of which, bring an umbrella if you’re visiting Vancouver anywhere between October-February) This list on VancityAsks underlines the BEST sushi Vancouver has to offer. Vancouverites LOVE sushi. We have over 600 sushi restaurants in Vancouver; many are thriving. Vancouver is a coastal city with accessibility to fresh seafood. Vancouver locals love eating sushi because it’s healthy and tasty. Vancouver is home to many Japanese expats who carry their cuisines from abroad or create inventive fusion of their authentic food for local taste. Vancouver has more sushi and ramen stores than most cities in North America, not even Los Angeles has more sushi restaurants than Vancouver! More competition generally means you must be good to survive (evidently with a good/significant market for sushi eaters, it makes it easier…as early as 1980s, the concept of eating raw fish like sushi was considered very foreign to Western taste/preference.) so we have some of the BEST sushi restaurants. You know they are good as they’ve been around for years. If you’re visiting Vancouver or have friends/family coming for a visit, then there is perhaps no better food to indulge than sushi or ramen. It may very well be some of the best sushi and ramen you’ve tasted. Before we share with you the best sushi restaurants you can find Vancouver, it helps to share what constitutes as good or the best sushi in Vancouver. What makes for good sushi in Vancouver? Freshness: We live in a coastal city with good accessibility to fresh seafood. 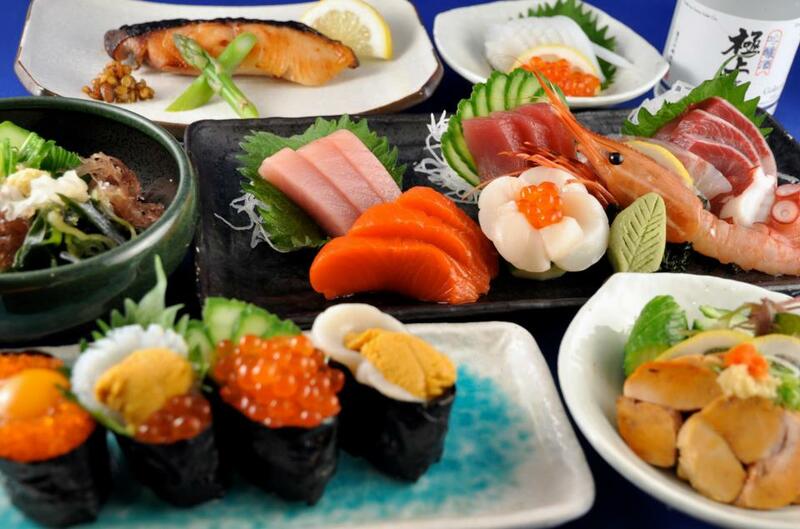 The freshness of the seafood is not only for the quality and taste of your sushi dining but also for your safety. Raw food can spoil easier without proper handling. Rice: The rice is actually one of the MOST important characteristic to good sushi. The temperature, texture, and flavor of the rice is what makes a good sushi and a great sushi. The consistency with the sushi rice is a must if a restaurant is considered as the best sushi in Vancouver. Taste – Authenticity or Creativity: Whether you’re looking for authenticity or creativity are two different approaches. Some say change is inevitable and the best sushi in Vancouver would be a reinvention and fusion. Majority of people would look for authenticity of the purest form to be considered the best sushi in Vancouver. Beyond consideration of finding the best sushi in Vancouver, food wise, the service, menu, and atmosphere are also important considerations. After all, humans are rarely rational, our enjoyment of any dining experience has largely to do with the presentation, service, and environment that collectively formulate our experience. It’s been known that a significant portion of customer loyalty to local/artisan businesses lies with the customer experience with the local business. Most of the recommendations are carefully curated to ensure we have truly found the BEST sushi in Vancouver. This is not the best cheap sushi restaurants, we have that too! If you’re looking for the best cheap sushi then check out our Vancouver’s best cheap sushi here. The best cheap sushi recommendations would be for those looking for well price sushi that taste good; good value for the most part. Large portions, reasonable quality, and amazingly shocking prices. Yeap! They exists. These best sushi in Vancouver recommendations are for you sushi experts looking to savour the best of the best. Whether you’re a visitor who have been told about Vancouver’s awesome sushi scene, or a local sushi fanatic…these are the sushi restaurants in Vancouver, you want to try! These sushi spots are known for the best quality, best flavors, best freshness. You can rest assure that the five best sushi in Vancouver listed here will satisfy your craving for luxury or uniqueness in quality. Give it a read please (in good Canadian manners… eh). Miku is the epitome of fine Japanese dining, with a modern twist. It’s neatly located right by the waterfront (literally 5 minutes walk from Waterfront Station) with views of the Vancouver inlet by Canada Place. It is the mastermind of Seigo Nakamura. 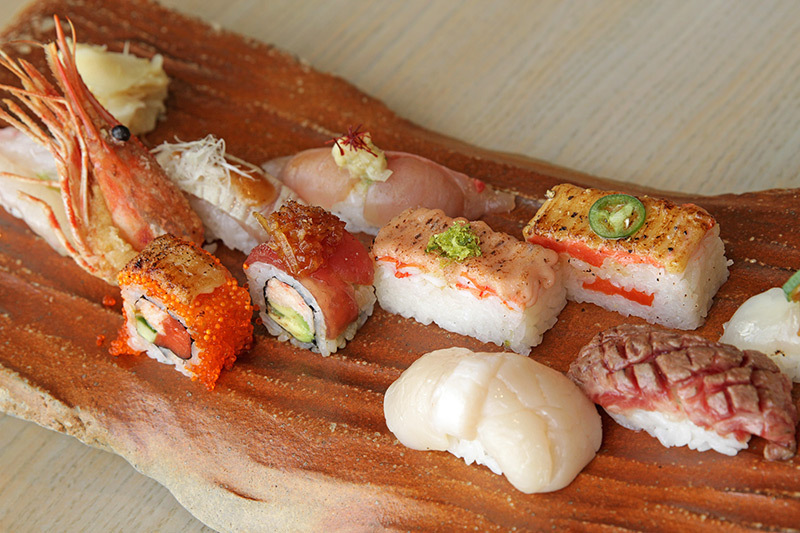 Miku is the sister restaurant to another top Vancouver sushi restaurant, Minami. Whether you’re looking for a celebration experience downtown or a romantic dinner for your significant other, Miku Restaurant is an experience you won’t soon forget. Take a look at the pictures bellow. You’ll notice that Miku has some creative sushi creations that looks deliciously elegant. We’ve listed Miku as the #3 Best Sushi in Vancouver because their restaurant is not specifically a sushi bar. It’s easily one of the top fine Japanese dining in Vancouver however with delicious sushi. Their rolls are also rather creative and appealing. Miku is known for their aburi sushi, alluded by loyal patrons as the perfect combination of seared seafood, sushi rice, and seasoning. Note that Miku Restaurant’s prices reflect the prime location and aesthetically crafted food. Their famous aburi sushi (which is a must-try at Miku) will cost you $17 for dinner. (typically not suffice in portion for a meal in itself.) Conveniently located on the side of 200 Granville Street, Miku overlooks the Vancouver waterfront being minutes from the busy Vancouver Cruise Ship terminal at the Vancouver Convention Centre. Miku makes for a perfect first date or business dinner; the ambiance, food, and service work in combination to delivery a remarkable experience. As some may know, Miku is no secret to Vancouverites who enjoy good sushi and Japanese cuisine. Miku Restaurant in Vancouver is easily Vancouver’s best sushi restaurant right in the center of downtown Vancouver by the waterfront. The best Japanese fine dining in Vancouver. Enjoy great waterfront views at Miku Restaurant. Surprisingly, despite it’s reputation, Ajisai Sushi in Vancouver is reasonably priced with a spicy salmon roll at $4 (very standard pricing) and a salmon Nigiri at $2. 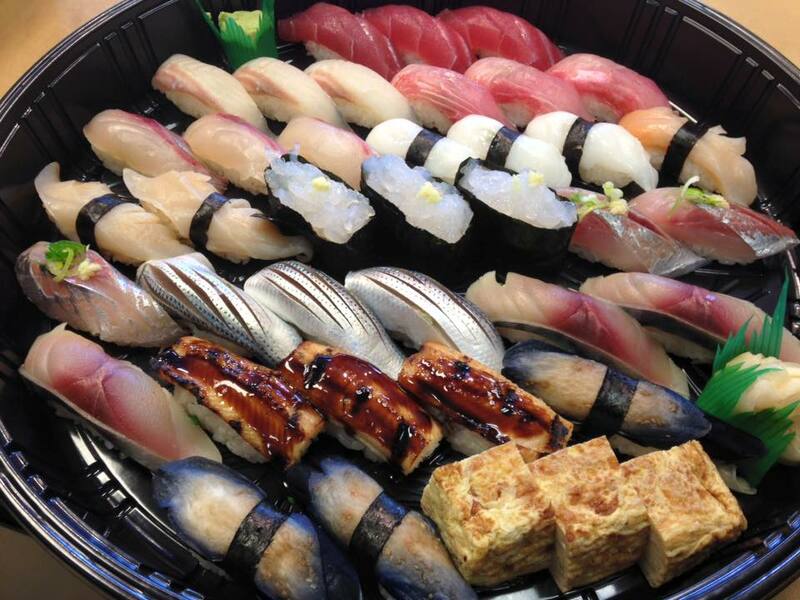 This combines both quality and value which is why we’ve listed Ajisai sushi #1 in our list of best sushi in Vancouver. An assortment of sashimi and sushi from Ajisai Sushi Bar in Vancouver, BC. Looks delectable. Sushi Bar Maumi is a slightly lesser known Vancouver sushi restaurant (not anymore, it has been featured in various media since.) Among sushi enthusiasts, Sushi Maumi has been notoriously known as a taste of Japan in Vancouver with sushi chef Maumi serving memorable Omasake experiences for about just $70/person. Freshest seafood imported right from Japan, perfect sushi rice, exact temperature for your enjoyment – did you know, a good sushi chef warms the rice and fish in his hands bringing it to the right temperature before serving for your enjoyment during an Omasake? This is why, you ought to eat it immediately at serving…such a delicate art. The sushi restaurant is located in the Davie neighborhood in downtown Vancouver. It’s very convenient location for many tourists staying in downtown Vancouver, and locals downtown. Nestled in Vancouver’s West End, Sushi Bar Maumi is the place to go for authentic sushi. Unfortunately, the seating size only accommodates 12 people with three tables and a sushi bar. They do serve take-out but not during Omasake sessions (available only by reservation). At VancityAsks, we like to feature these locally owned, specialty stores that may be overlooked and Sushi Bar Maumi tops the list. The BEST sushi in Vancouver hands down – for its type (authentic, no-frills dining with stupendous quality & freshness. A sushi chef’s attention.) They have local fish and fish freshly imported from Japan. This Vancouver sushi bar is renown for it’s precise execution, freshness, and quality. Yet, the prices are surprisingly fair. It may not be the place you go for a large dinner party. They also don’t serve alcohol or rolls. This said, if you enjoy good sushi in Vancouver then Sushi Bar Maumi is your place to go. As a further note, looking through their Facebook page is much like browsing through a fish market. The owners at Sushi bar Maumi in Vancouver truly care about freshness and quality of their ingredients. Assorted nigiri at Vancouver’s Sushi Bar Maumi. Wishing you had some now didn’t you! The service is excellent, the decor is authentic and welcoming. The menu prices is a good deal for the quality and service you’ll find at Hitoe Sushi. With this, we’ve placed Hitoe Sushi as the #5 best sushi in Vancouver. The sushi restaurant is situated in Vancouver hippy neighborhood, Kitsilano. (Case in point? This neighborhood is so filled with hipsters, their neighborhood party can’t be called Kistilano because that’s too main stream – it’s called Khatsahlano. In all seriousness, if you’re a tourist visiting Vancouver, pay a visit to Kitsilano – it is a beautiful community with a perfect blend of urban and nature landscape. It contrasts the metropolitan of downtown Vancouver with shop houses, artisan and boutique local stores, and no skyscrapers. It is also minutes from the beach. Vancouver beaches are not as other beaches however, it’s often filled with greenery and nature paths…and it’s often cold and rainy if you’re here November to February.) If you’re looking for a non-pretentious sushi restaurant in Vancouver with great sushi, then Hitoe Sushi is your pick. It is not fancy/fine dining and the restaurant is pretty small (about a 20 seats restaurant) neither is the decor elaborate but it is a local, authentic, sushi restaurant in Vancouver with a Japanese sushi chef preparing your food. A family-style restaurant with authentic sushi much like Ajisai Sushi. There you have it. Hope you’ve enjoyed discovering the best sushi restaurants in Vancouver, BC. Don’t wait, give these delicious sushi restaurants a try then share your experience bellow. Your comments, feedback, and suggestions are welcomed! As always, the recommendations/features on VancityAsks are not sponsored; we try to keep it as impartial as we can, disclosing any possible bias to truly discover the best of Vancouver together! When you think of Vancouver, you likely think of rain, sushi, and beautiful scenery (in that order) so make sure you try Vancouver sushi if you’re visiting from out of town… at least, that’s what locals think. Vancouver has over 600 sushi restaurants in this city. It’s hard to list just five great sushi places in Vancouver. Here are more excellent choices for good sushi in Vancouver that didn’t quite make the top 5 list. Difficult decisions had to be made. You may still enjoy these excellent sushi restaurants in Vancouver. Don’t hesitate to give these sushi restaurants a try. Japanese owned, authentic, healthy sushi is what you’ll find at Shizen Ya. Japanese owned and operated, Shizen Ya is a popular spot for excellent sushi in Vancouver. They are often packed at night. They have organic brown rice as an option for replacement of white sushi rice; they make their broth from scratch and they emphasize on healthy dining. It’s phenomenal healthy sushi in Vancouver. Located in the Mount Pleasant neighborhood, this sushi restaurant is frequented by locals for fresh, authentic sushi and excellent prices. It’s a small sushi restaurant but certainly rivals some of the best Vancouver sushi restaurant. This is one of those Korean Japanese restaurants. They are known for their excellent value bento boxes and reasonably good sushi. It is worth a visit if you’re looking for sushi or Japanese food in Gastown. Authentic Japanese sushi right on Robson Street (Robson Street rents are ridiculously expensive but the sushi prices are surprisingly cheap). The son of a successful sushi chef, his dad retired to help his son start Sushi Itoga on Robson Street. The sushi chef and his assistant makes all the sushi on the sushi bar at the store front of house so you can see it freshly made. My experience at Sushi Itoga was good service but the rice was a little overcook. Nevertheless, many echo the excellent sushi at Sushi Itoga. Good sushi if you’re looking for a sushi restaurant in downtown Vancouver that’s not pretentious serving authentic sushi and good value. Dining is at a communal long table in the centre of the Robson Street store or by the window so not a great pick for formal dining. Founded in the Commercial Drive neighborhood, this quaint sushi restaurant is also known for their aburi sushi. There’s often a line-up for their delicious Japanese cuisine but it’s well worth the wait. If you visit try their aburi sushi and fresh sashimi. The service and ambiance is excellent as well; Kishimoto very rivals a spot for the best sushi restaurant in Vancouver. It is a little farther away for most being on the Drive however; not exactly a popular Vancouver neighborhood nor near any scenic water lookout. Feedback Request – What’s your Favourite Vancouver Sushi Restaurant? Basically, we truly want to find the Best Sushi in Vancouver! Sushi Fun Fact – Why is it Called Sashimi? In case you were wondering, why is raw fished is called Sashimi…it means pierced body in Japanese. This is apparently from sticking the fish tail and fin to identify the fish being eaten. Besides that, it would make more sense to call it cut fish wouldn’t it? Although kiru, the word for cut, was inauspicious back then, so sashimi it is…so long as it tastes good. We keep all our recommendations on VancityAsks periodically updated and reviewed to ensure the validity and accuracy of our best sushi in Vancouver recommendations. As such, certain sushi restaurants are replaced or shuffled in our Best Vancouver sushi feature. In case, you’re interested in reading about them, we’ve included the former suggestions here along with a chronological list of updates and when they occurred. Any omitted recommendations will be copy and pasted here bellow in the next heading after Vancouver Sushi Forecasts. We are generally reluctant and slow to changing our list as we have confidence in its accuracy and put a lot of effort to writing it in the first place. Therefore, any changes will be contemplated (in the Vancouver Sushi Forecast) and then updated in the following update. (In short, it takes two update cycles to push a new restaurant or remove a restaurant from our top 5 list.) Our recommendations are reviewed for updates periodically every three to six months. January 31, 2019: Removal of Hoshi Sushi @ Sandbar – revised recommendations due to declining experience & inconsistencies of guest experience. (Hoshi Sushi @ Sandbar was initially recommended due to some chef’s recommendations but one person’s taste/experience does not constitute the overall customer experience. Unfortunately, Hoshi Sushi @ Sandbar has by the majority of experience been bellow par.) We have included the original description here for transparency and your reference. Hoshi Sushi at the Sandbar is another must try. You get a waterfront sushi experience on Granville Island. You know it’s quality over quantity at Hoshi Sushi because the Sandbar is run by Sequoia Company of Restaurants. They are known effectively for good dining experiences; it’s the same company that runs the restaurant at Stanley Park. The SandBar is actually a seafood restaurant but it has it’s own sushi bar and sushi masterchef, Hoshi Tsutomu, hence Hoshi sushi. If you’re planning something special and willing to splurge for a memorial night/afternoon then go for Hoshi sushi at the Sandbar. A fair warning however that experience can vary. Conveniently located on Granville Island, Hoshi Sushi is also a great opportunity for tourists and visitors of Vancouver to stroll this former industrial island, now turned into a beautiful market, brewery, nightlife, and dining hot spot. Granville Island has many notable experiences including some of the Best Fish & Chips in Vancouver at Go Fish, craft beer at Granville Island Brewery, Roger’s Chocolate, and many artisan vendors within the Granville Island Market. When you’re done with enjoying some of the best sushi in Vancouver at Hoshi Sushi, save room for desserts as you try the best donuts in Vancouver at Lee’s Donut (It’s not the most fancy donut or unique creations but it is a good, old, classic that’s been around for decades and a Vancouverite favourite. Most Vancouverites know about Lee’s Donut; it’s an establishment.) If you prefer something more delicate, be sure to try ChocolaTas in the Granville Island market as well; the work of a chocolate maker who apprenticed at a Belgian chocolate maker who was the exclusive supplier to royalty. Basically, if you’re looking for good sushi and a memorable experience, then Hoshi Sushi at the Sandbar would probably be an excellent pick. It’s a great spot to visit as tourists and bring out of town guests. If you’re going to grab some fries at Granville Island Market, make sure the seagulls don’t steal them! We’ll likely be replacing Hoshi Sushi at the Sandbar with YUI Sushi in time. Yui Sushi is a restaurant opened by the former MIKU restaurant chef. They feature a very similar menu and quality to MIKU at a much value for money pricing. Same taste, different atmosphere. We hope you enjoyed learning more about the best sushi in Vancouver. If you have any questions, feedback or concerns regarding the content on this article, please feel free to comment bellow or use the contact us form. We have made every effort to ensure the accuracy and correct representation of the best sushi in Vancouver. We hope you found this to be a useful resource, if you would like to learn more about Vancouver and Metro Vancouver then please feel free to browse our other articles on Vancouver. Thanks for your comment on our Best Vancouver sushi list. We want to find the best of Vancouver and hope people like you will help us do it better. Great to hear you enjoyed Miku. Yes the other 4 are wroth a visit. Ajisai is a MUST try – affordable fresh and quality sushi. Sushi Maumi is a good experience for the occasional splurge – their Omasake is quite expensive but something you won’t typically find elsewhere in Vancouver; their fish are likely some of the freshest local and Japan imported fish for sashimi. Miku, you’ve tried – easily the best aburi sushi in Vancouver. Sandbar (Hoshi) sushi is good for the Ambiance and location (Granville Island) though we may very likely be changing this up base on user feedback. The sushi is good but there can be better. Hitoe sushi is a nice local restaurant (we like local businesses) with many wins and a few misses. All in all still the best sushi of Vancouver. Thank you for visiting VancityAsks.com and hope you continue to follow us on the upcoming contests as we find the best of Vancouver. Hitoe on 4th Ave is a hidden gem! They have an organic sushi menu as well! The sushi here is amazing! I highly recommend it! Thanks for your comment Mike! Glad to know you agree that Hitoe Sushi is a hidden gem on 4th Avenue. Some of their dishes can be hit and miss but mostly wins. I’ll add that to our runner up list along with Octopus Garden. This is a legit list!! I’ve tried all of these places except Hoshi. They all have exceptional sushi. One place that definitely belongs in this group is Kaide in Yaletown. Try it you won’t regret it. Thanks Annie! Great to hear that our list of the best sushi in Vancouver is on point. Will most certainly consider Kaide in Yaletown for our next update! Thanks for your comment. Enjoy your day.